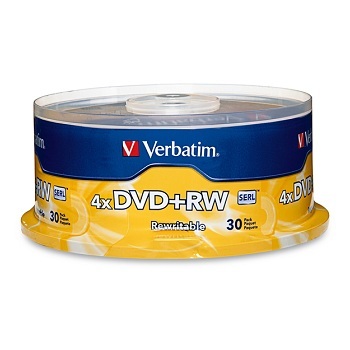 Pack of 5 DVD-R discs with regular jewel cases. 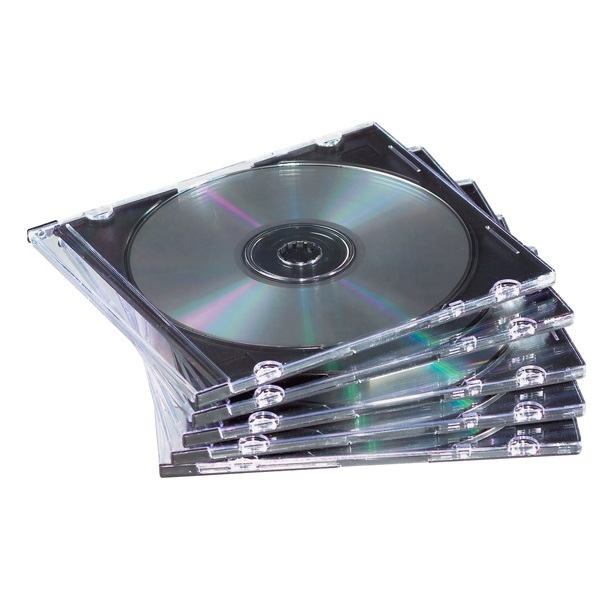 Pack of 5 DVD+R discs with regular jewel cases. 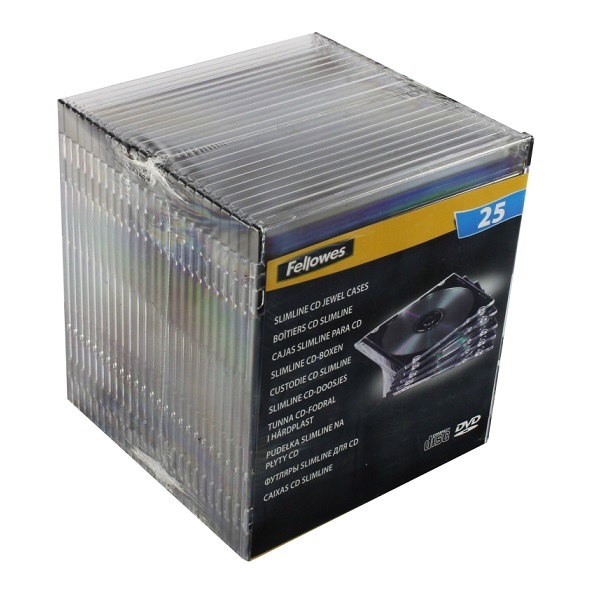 Bulk spindle pack of 50 DVD+R discs without jewel cases. 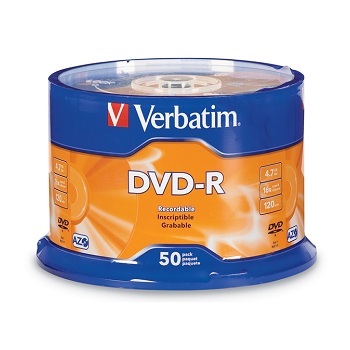 Bulk spindle packs of DVD-R discs without jewel cases. 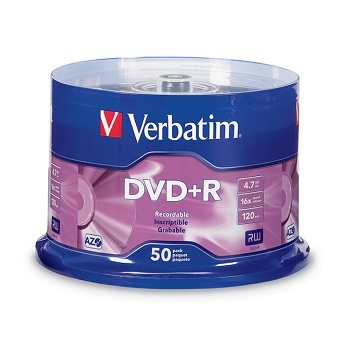 Spindle pack of 50 DVD+R discs without jewel cases. 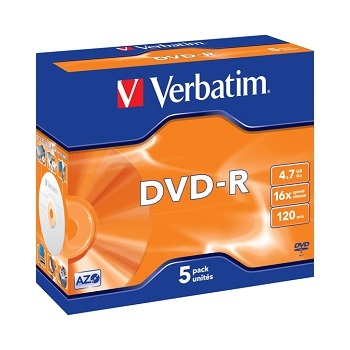 Verbatim DVD-RW offers 4.7GB or 120 Minutes of re-recordable storage capacity, superior recording quality, and compatibility with 1x-2x DVD-RW writers. 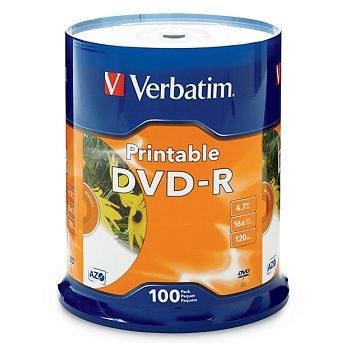 Rewritable media - can be erased and re-used numerous times. 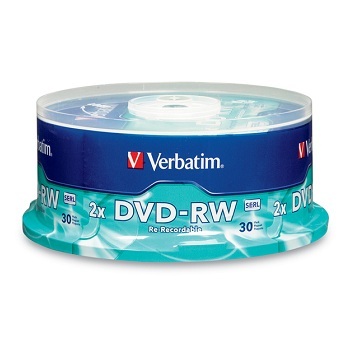 Spindle pack of 30 DVD-RW discs without jewel cases. 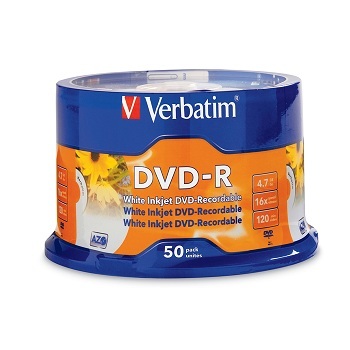 Verbatim DVD+RW offers 4.7GB or 120 Minutes of re-recordable storage capacity, superior recording quality, and compatibility with 1x-4x DVD+RW writers. 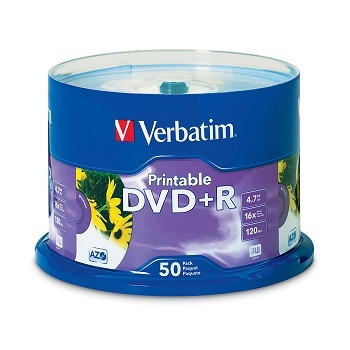 Spindle pack of 30 DVD+RW discs without jewel cases. 8.5 Gbyte's of storage capacity on a single-sided disc - No need to flip the disc - Ideal for movies. 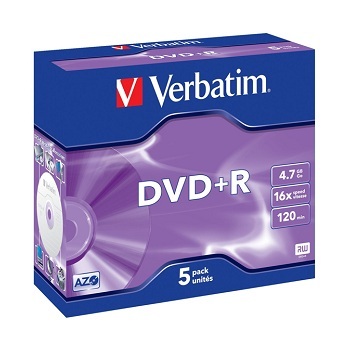 Compatible with DVD+R Double Layer drives from Sony, Philips, Lite On and others. 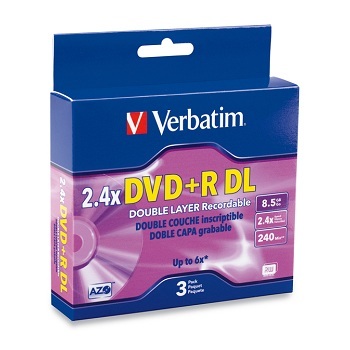 Pack of 3 DVD+R discs with regular jewel cases.